TORONTO - Ontario residents receiving social assistance will get to keep more of their own money without losing benefits starting this fall, the result of several "fundamental" changes meant to reduce job barriers and improve fairness, Finance Minister Charles Sousa said in releasing his budget. Reforms to the province's welfare and disability programs will allow people who work while getting support to keep the first $200 of their monthly wages before their benefits are docked, and let them hold on to more cash and assets without cutting them off. "Without this reform, some people risk falling farther and farther behind, while at the same time becoming less likely to seek work because the current system takes back some of the gains of employment," Sousa said Thursday. Under the current rules, social assistance benefits are reduced by 50 cents for each dollar earned through work. The new system — set to take effect in September and October, depending on the type of assistance — will apply the reductions to any job earnings beyond $200. It will also recognize self-employment as "an important alternative to traditional employment" for welfare recipients by treating the income it generates the same as other wages. At present, each dollar earned through self-employment means a dollar is taken out of benefits. About 57,000 people receive some form of wages on top of the benefits doled out through Ontario's welfare and disability system. The wage exemption was among a laundry list of demands from the New Democrats, who must support the budget or at least abstain from the vote in order to avoid an election. It's one of several changes to social assistance described in the budget as an effort to "help recipients keep more of what they earn, move into jobs and improve their financial security." The changes — which include a one per cent increase in benefit rates that amounts to $6 more per month — will cost the province more than $400 million over three years. The rate bump isn't enough to help those in dire financial straits, but it's a good start, one anti-poverty group said. The tweaks to welfare rules will put the province on a "path to transformation" that should make the system more supportive, said a spokeswoman for the non-profit 25in5 Network for Poverty Reduction. "The social assistance system right now has more than 800 rules that create barriers for people. These (new) rules begin to make the system simpler and easier to access," Sarah Blackstock said. The changes also got a thumbs-up from the province's nurses. "We are pleased that the government understands that you can't escape a life of poverty if you are going to be penalized by finding part-time work," said Rhonda Seidman-Carlson, president of Registered Nurses Association of Ontario. "Nurses know that income affects your health and your ability to provide for you and your loved ones," she said in a statement. Once the new rules kick in, the amount of cash people can bank while still receiving support will go up to $2,500 from $606 for single adults and to $5,000 from $1,043 for couples. Welfare recipients will also be able to accept up to $6,000 in gifts each year, bringing the rules in line with those for people on disability. 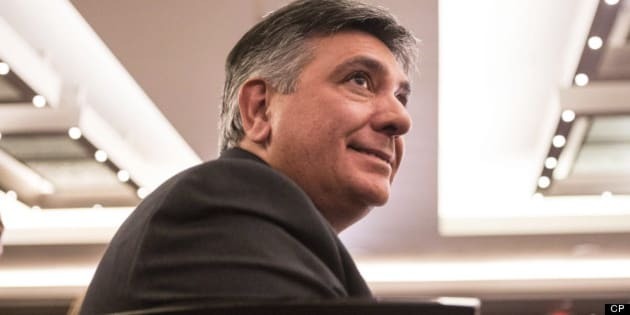 A monthly $14 "top-up" will be handed out to single adults on welfare with no kids, "the group of social assistance recipients that experiences the lowest incomes," Sousa said. What car people drive will no longer affect their eligibility for social assistance, with the government promising to remove restrictions on the value of recipients' primary vehicle. First Nations and northern communities administering welfare will be granted some leeway to decide which assets recipients can keep without losing support, a move the government said aims to recognize the unique circumstances those groups face. And high school students who work part-time won't see their wages deducted from their family's welfare benefits, even if they're over 18. As it is now, only those under 18 are exempt, along with post-secondary students.